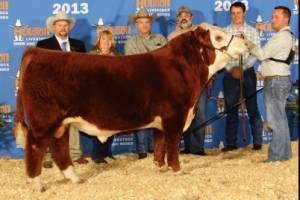 A polled, proven, calving-ease alternative for the Hereford breed and industry! He has an outstanding number package that puts him in the top 1% of the breed for CE, WW, YW, REA, and CHB$ and the top 5% for BW. 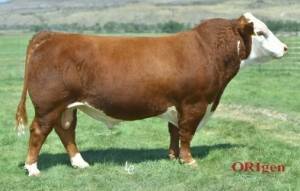 Red Bull’s dam is one of the most phenotypically correct females in the Hereford breed that has been one of the top producers for Churchill. Red Bull is the rare combination of performance, data and eye appeal. His first calves are easy calving and yet some of the heaviest at weaning, and they exhibit the perfect pigmentation of Red Bull himself.